Whenever I think about my blog, I think of how many female artists are on my blog; so I've decided to switch it up a bit and try to feature more male artists; hence why I've chosen Bruno Mars' new music video today. This song came to my attention after Relley C did a cover version, to which she totally smashes! Regardless, Bruno Mars' original version is just as good, and the music video is technically brilliant even if it does have a simple concept. Watch Bruno Mars give an engaging performance piece whilst drawn items relating to the lyrics interact with his dancing in the music video for "That's What I Like". Bruno Mars, real name Peter Hernandez, is one of the top male artists in the world at the moment. He has had a solid career and has really pushed R&B and Funk into mainstream pop music, this is what you call an artist. This song is the exact same style, and it's highly addictive. It's the second single, the follow-up to the internationally successful single "24K Magic", from his latest album 24K Magic.. The song was released at the start of this year, but the music video has just been released, which will definitely give much-needed promotion for the song. 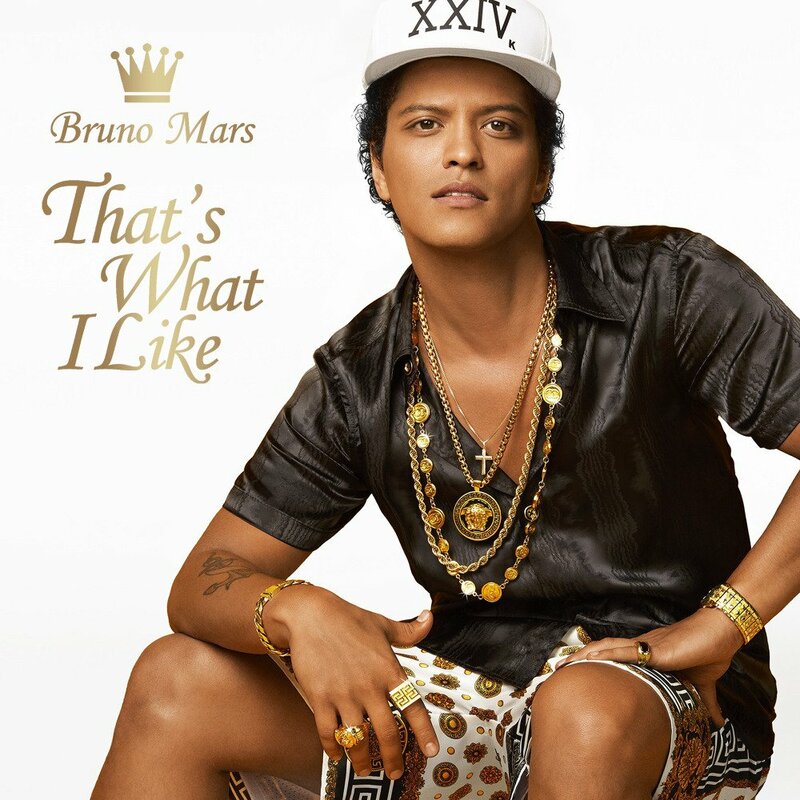 It was written by Bruno Mars, Philip Lawrence, Christopher Brody Brown, James Fauntleroy, Johnathan Yip, Ray Romulus, Jeremy Reeves, and Ray McCullough II. Directed by Bruno Mars and Jonathan Lia, the music video is a pure performance visual with a creative but simple visual drawing effect - switching the music video up to make Bruno Mars' choreography turn into an out-of-this-world experience. In the simple music video, we see Bruno Mars dancing his funky choreography, nailing every move as we expect. We believe he'd be an amazing artist to see live on stage. However, that is not all this music video is. Switching the choreography up completely, are simple drawings that are superimposed on the video. The various drawn images completely relate to the lyrics and totally keeps the audience engaged as Bruno Mars' dancing is incorporated with the lyric-based images. It's a beautifully edited music video, that is enticing from start to finish. Simple but effective!